MANAGING PARTNER - Jazzy's career tells the classic story of an immigrant traveled to the land of opportunity, and built his own slice of the pie through years of blood, toil, tears and sweat. He began 15 years ago in a kitchen as a dishwasher, and worked harder (and smarter) than everyone else to prove himself and take on more responsibility. So impressive was Jahaziel's work that, as a bussboy, he impressed the executive chef, a beautiful young lady, so much they're now married! After experiencing his brand of bar mastery, and instructional prowess, you may think about marriage too. Unlike so many in the industry, he's kept his nose clean and his eyes on the prize. This dedication to honest and clean hard work has paid off. 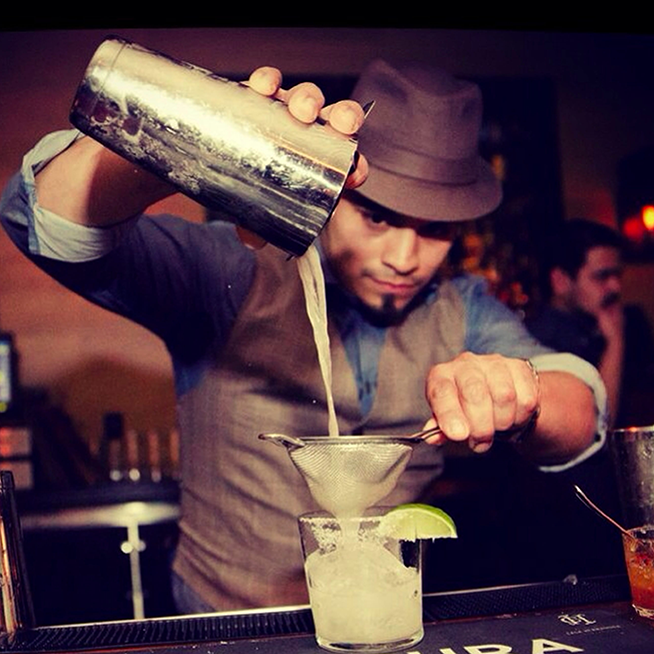 On top of being one of the highest paid bartenders in SF, he can also write his own ticket as one of the most sought after. Bars he has equity in include Barrel Aged and Barrelista in Martinez, California. And his most recent investment is with CABAM, in which he owns a significant percentage. Jazzy possesses a love for craft cocktails and interest in studying the dexterity, high level focus and memory needed for high volume craft bartending. This interest keeps Jazzy busy during his off hours. However, to him, as wonderful and inspiring craft bartending is, he's found working in a nightclub lets him pull in twice as many tips in half the hours. In the end, Jazzy follows the money, and consequently has stayed with the bars and shifts which help him maximize profitability. A few locations he's graced include Matrix, Verso, Aventine, Infusion Lounge, and Second Sundays @ Cocomos and Kelly's Mission Rock. Years of experience and sweat working his way through the industry guides his dedication and informs the scope with which he views the bar world. These ingredients make the secret sauce that, when tasted, exemplify him as an excellent, down to earth, bartending instructor for all students of CABAM.